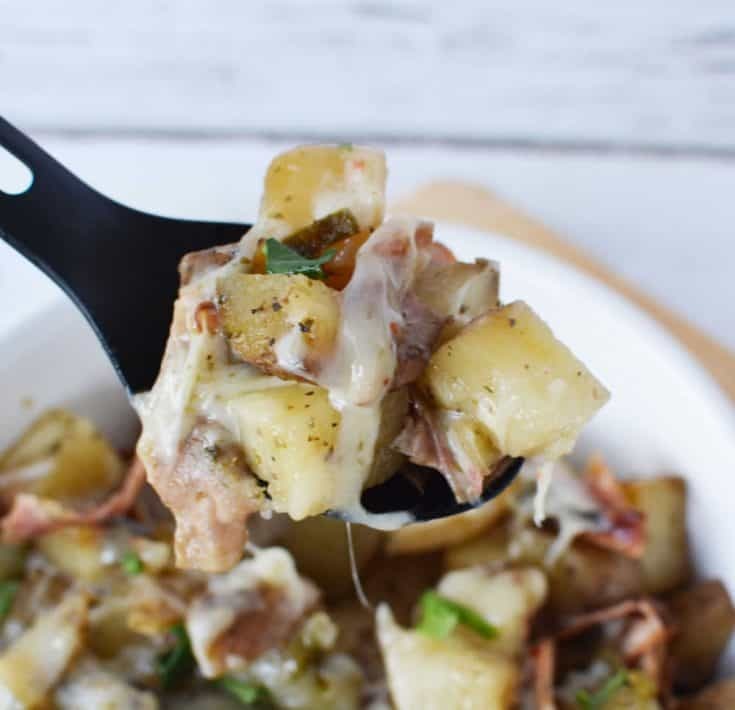 Spicy Slow Cooker Ham and Potatoes with Cheese is a great way to use up leftover potatoes and ham. Top with cheese and serve for dinner or brunch. 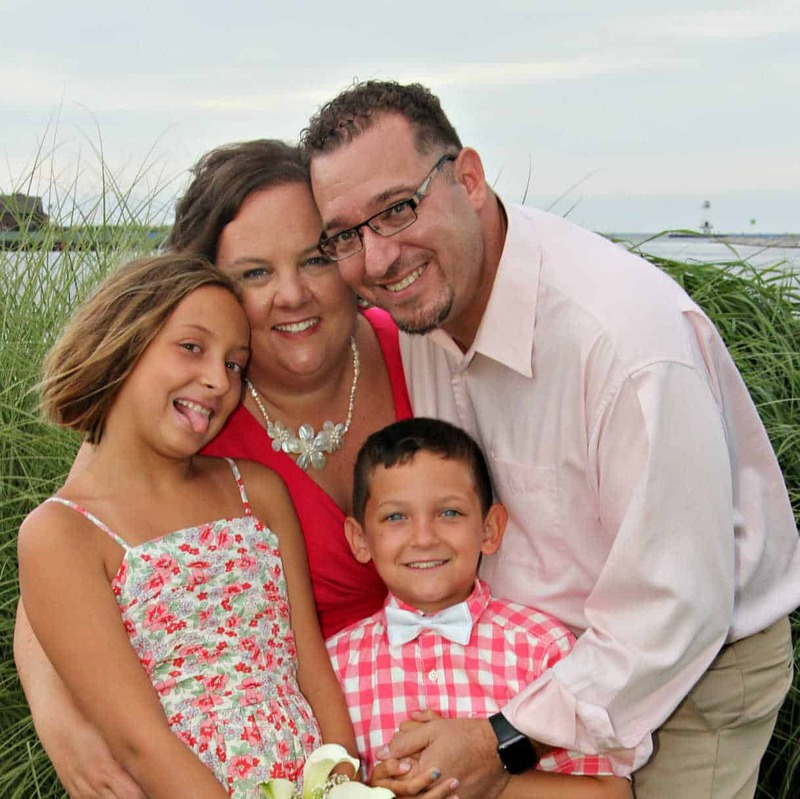 I use our slow cooker for many things other than just making a main dish for dinner. You can cook up desserts like Slow Cooker Peach Cobbler and make Slow Cooker Dinner Rolls. 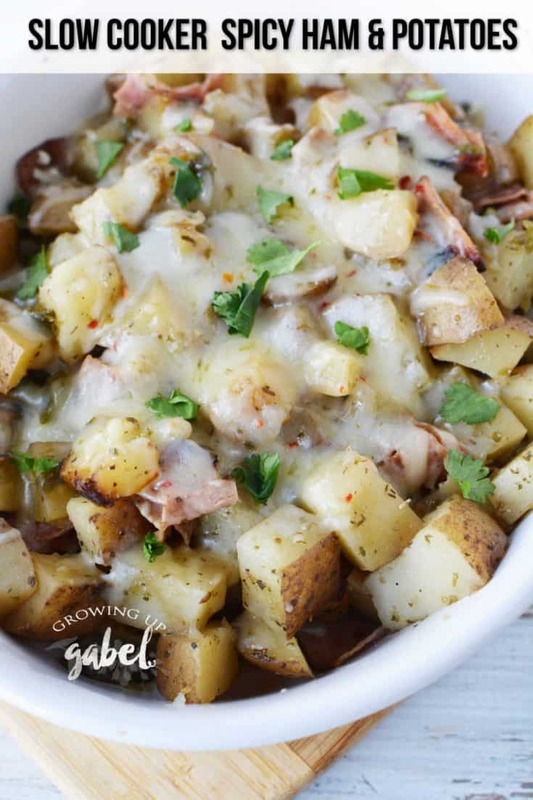 But I really love using a slow cooker for making side dishes like this spicy cheesy ham and potatoes. You can focus on your main dish recipe and just let the side dish cook without worrying about it. We made these spicy by adding jalapenos to the dish and topping with pepper jack cheese. 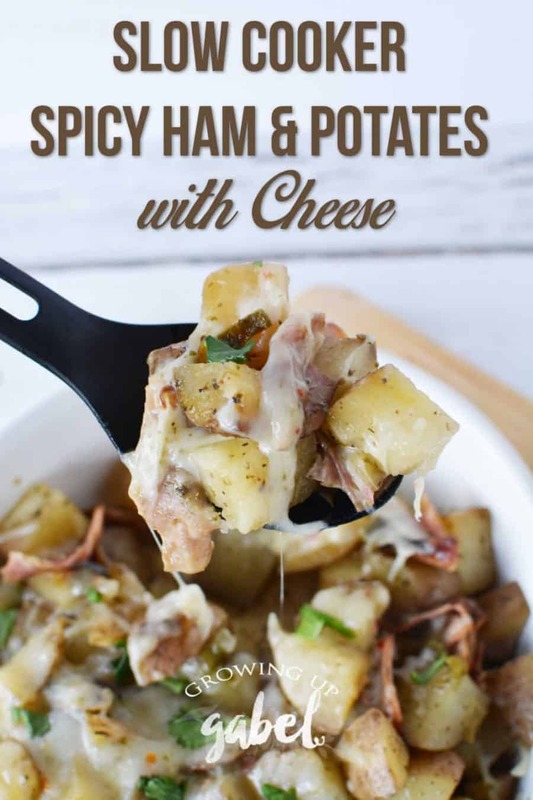 But you can make these without the heat by simply omitting the jalapenos and choosing a non spicy cheese like cheddar or even a creamy gouda, if you want to go all out. This side dish is great with baked chicken for dinner. Or you can pair these slow cooker ham and potatoes with Cast Iron Skillet Butter Pecan French Toast Bake and Lemon Mint Pineapple Mimosas for an easy and delicious spring or Mother's Day brunch. 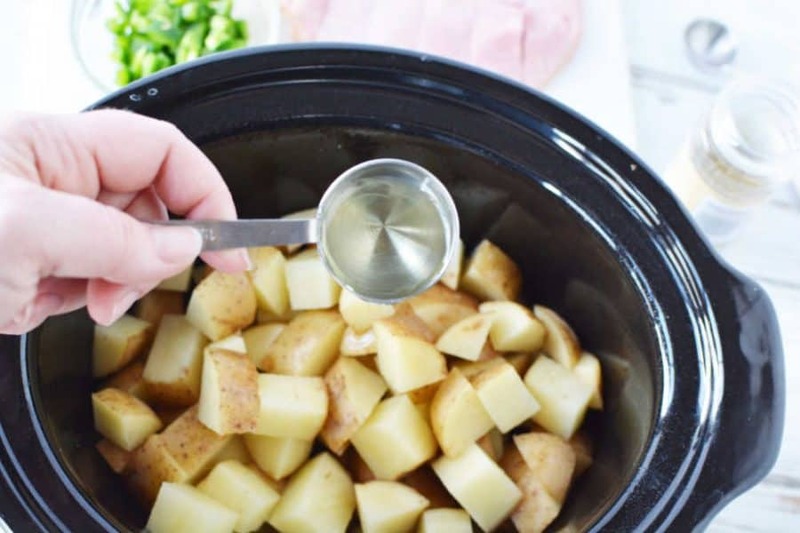 Spray a slow cooker with nonstick cooking spray or use a slow cooker liner. These are life savers when doing dishes! It's important to pick the right size slow cooker when cooking in one. Find out more about finding the right slow cooker. I find that most people who fail at slow cooker recipes simply don't have the right size or cook the food too long. 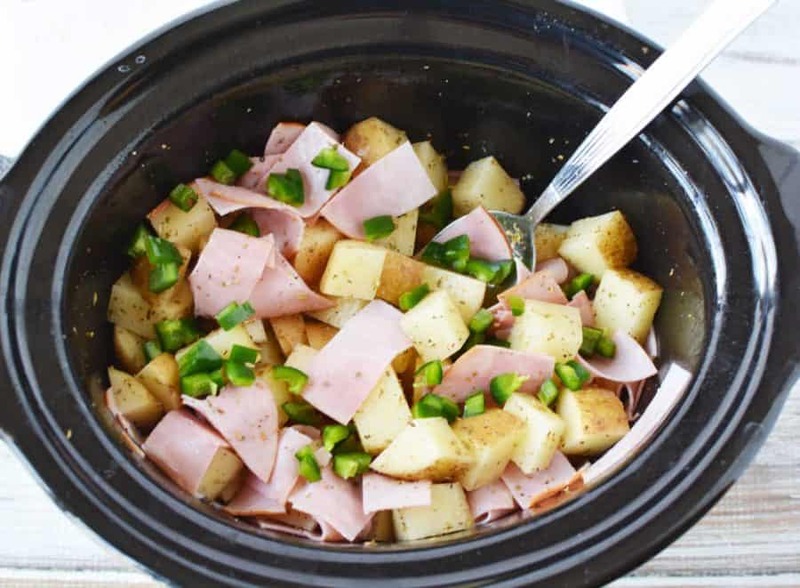 Once the crock is prepped, add the potatoes and ham to the crock. We used deli ham to make this but it is perfect for using up leftover ham from Easter. 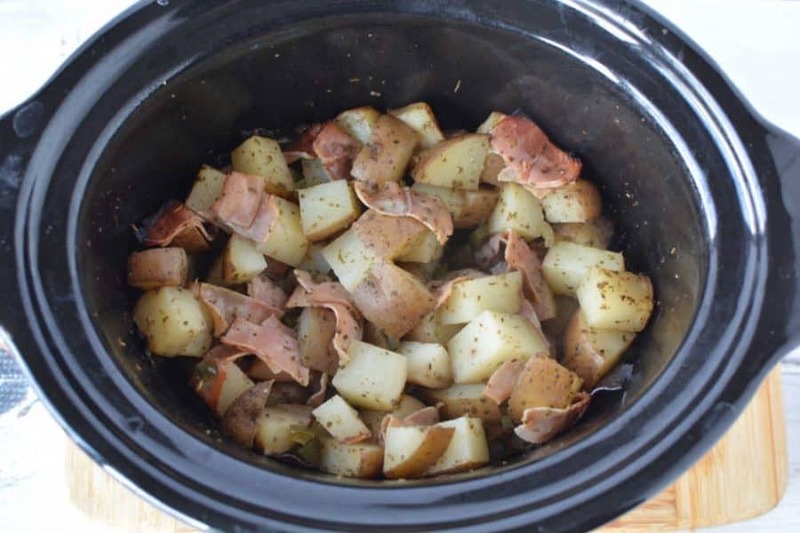 You can even use this Slow Cooker Ham recipe to cook up a ham. Add the oil, oregano, salt, pepper and jalapenos to the slow cooker. If you don't want this dish to be spicy, just skip the jalapeno peppers. Use a wooden spoon to mix well and evenly coat everything with the oil and the spices. Place lid on slow cooker and heat on low for 6-7 hours or high for 3-4 hours. Do not overcook! In fact, cut out time if you need to adjust. Otherwise you'll end up with mashed potatoes. 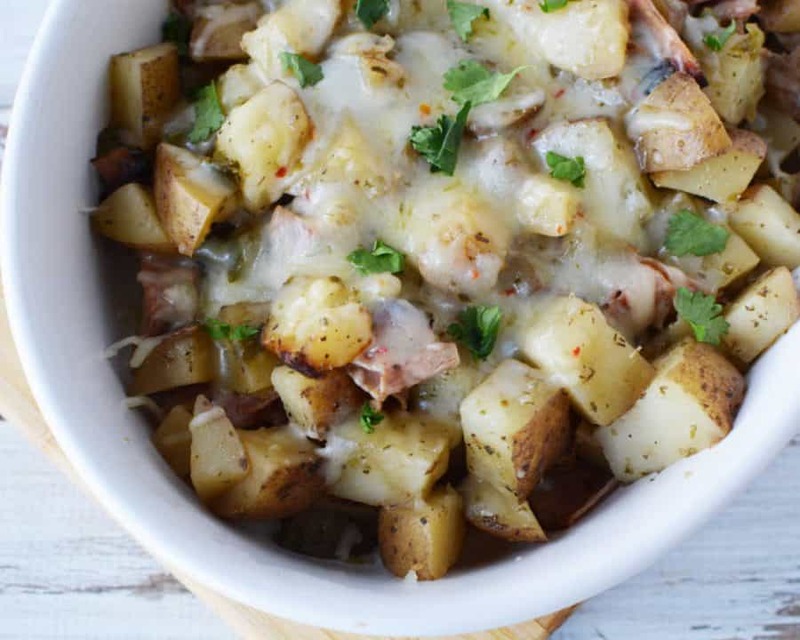 Remove potatoes and ham to a serving dish and top with shredded pepper jack cheese. If you don't want the dish spicy, then use a milder cheese like cheddar. 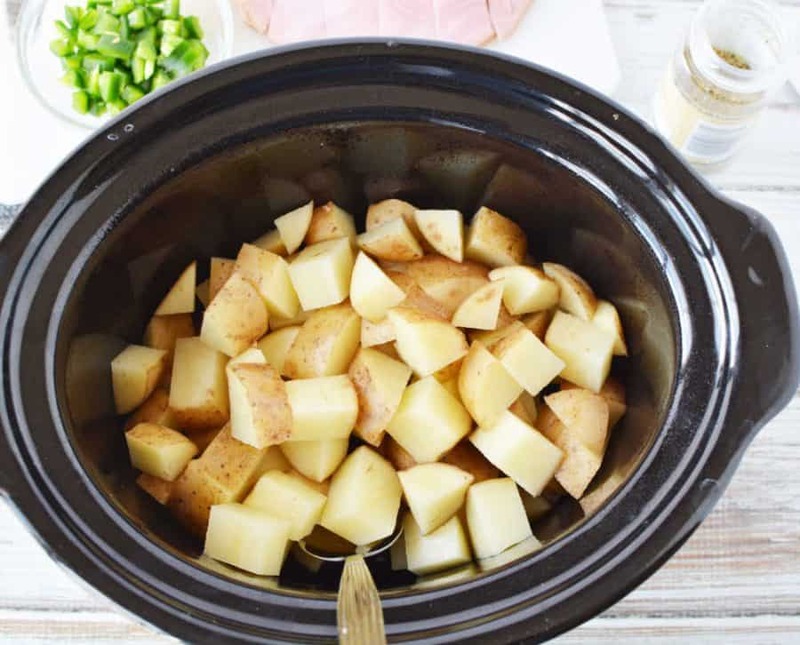 You could also just toss the cheese on top of the potatoes and ham in the slow cooker especially if this is just for dinner. Let the cheese set for 3-5 minutes or until it is melted. You can set a plate on top of the serving bowl so the cheese melts a little faster if desired. Top with fresh cilantro and serve. You can also serve with hot sauce on the side for a little extra heat. Add potatoes, ham, pepper, oil, oregano and salt. Mix well to evenly coat. Place lid on slow cooker and heat on low for 6-7 hours or high for 3-4 hours. 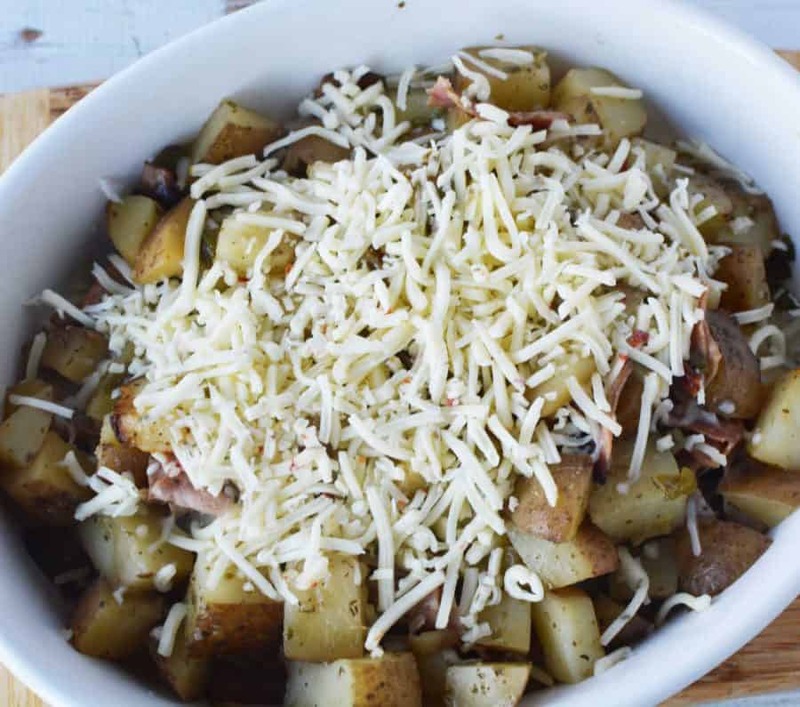 Remove potatoes and ham to a serving dish and top with shredded cheese. Let set for 3-5 minutes or until cheese is melted. You can set a plate on top of the serving bowl so the cheese melts a little faster if desired. Add Tabasco sauce or hot sauce for serving. This would be really good for a brunch or as a side dish. 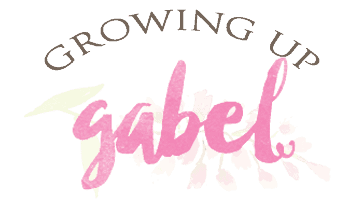 Camille thanks for sharing this delicious recipe. I hope, One day I will get invite from you to taste your handmade food.